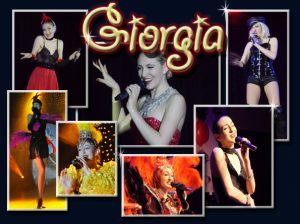 Quovadis show brings to you the stunning solo singer,Giorgia. Thanks to her repertoire, she will provide your events with a moving touch. In her compagny, you will spend a wonderfully sensual, intimate, elegant and spectacular evening. Giorgia knows how to establish a true relationship with her audience. She shines through with every performance, and she is always very well received, no matter what the venue or occasion. Giorgia is a very natural performer, full of elegance and class, as well as being bubbly & instantly likeable. She is without a doubt a beautiful and exquisite addition to any event. Her crystalline voice irresistibly draws you into her universe making you melt with pleasure. Her repertoire features a vast array of styles, from jazz standards to current pop, making her an incredibly versatile act. Let yourself be transported by her breathtaking beauty.